Successfully saved Thyme Honey, Peach, and Goat Cheese Crostini to your Calendar. You can also save the ingredients to your Grocery List. 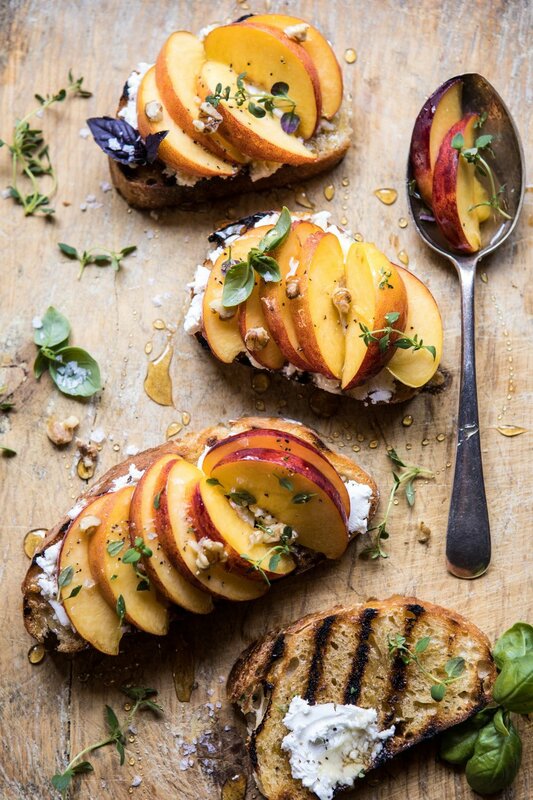 Grilled ciabatta bread with creamy goat cheese, sweet peaches, thyme, honey, walnuts, and fresh basil. This crostini screams summer entertaining, light lunches, and is perfect for using up those fresh farmers market peaches that are perfectly ripe from now until early fall.